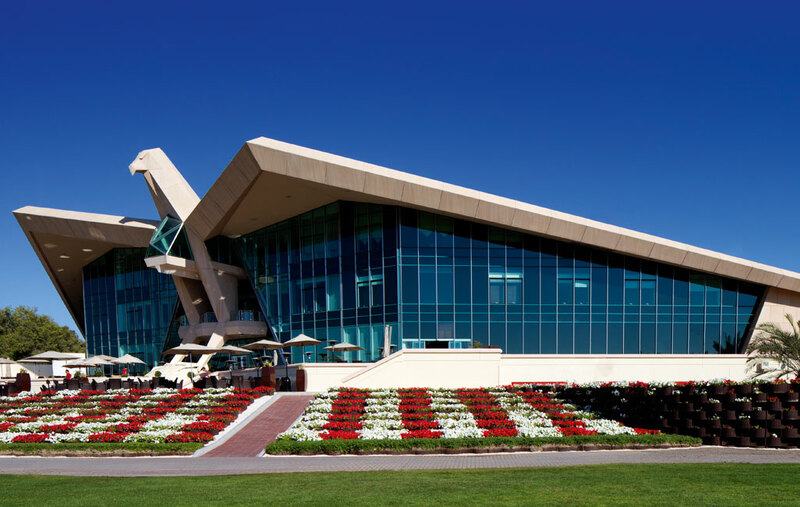 In 1990 Diar Consult won the commission to design the clubhouse and ancillary buildings (rest huts, driving range pavilion, health club and gym) of Abu Dhabi Golf Club through an international competition set by the Abu Dhabi Municipality. The competition brief set out Abu Dhabi’s aim to place itself securely on the golfing map of the world. Given this goal, Diar Consult chose to propose a cultural and emotive rather than institutional and rational approach. The proposal envisaged the clubhouse conceptually as a sculptural pavilion in a park. The stylised sculptural form of the falcon, which is the national bird and emblem of the UAE and principal element of the logo of the Government of Abu Dhabi, relates the club to the UAE’s history and cultural heritage, resulting in an iconic statement building with the potential to become a sporting symbol of the emirate. Few golf clubs in the world can claim a more instantly recognizable clubhouse. 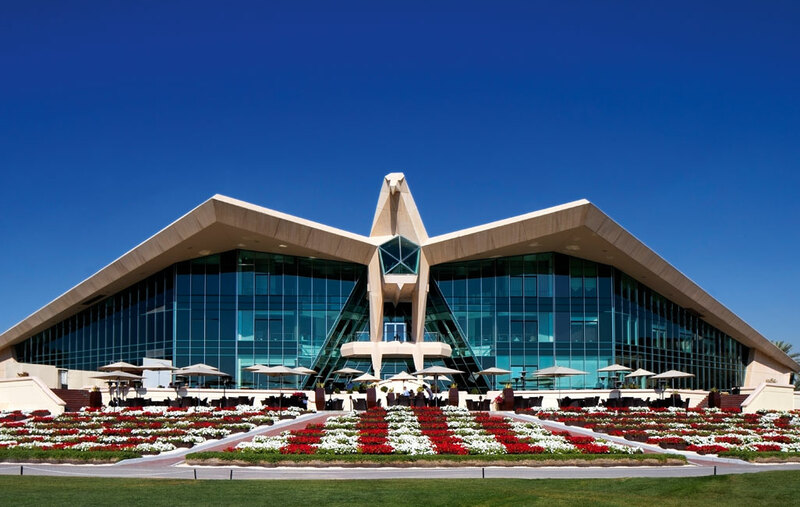 Barely within two years of its opening, the Finest Golf Resorts Collection ranked it in the top 50 golf destinations in the world, describing the clubhouse as ‘a wonder of modern architecture’. A further international design competition in 1995 invited bids for interior design; and Diar Consult was once again successful and able to augment the architectural design with an interior as spectacular as the exterior. Beneath the 100m wingspan is sophisticated and luxurious accommodation, comprising three floors of restaurants, an executive meeting room and an extensive sports and fitness club – all fully equipped to accommodate any type of corporate or private event in a relaxed club atmosphere. One of the key characteristics of the design was to ensure that all the restaurants as well as the members’ bar would enjoy prominent and unhindered views across the 9th and 18th holes. Functioning almost as a grandstand to the golf course, the clubhouse, in addition to members’ facilities, provides an important social and community centre for residents of the surrounding area. “A fantastic golf course and incredible clubhouse…it will soon become known around the world and be recognised as one of the top golfing destinations” – Dennis O’Sullivan, event winner. “Peter Harradine’s course is superb and Samir Daoud’s falcon-design clubhouse is nothing short of astonishing” – Tommy Horton, European Seniors Tour’s first Euro millionaire. 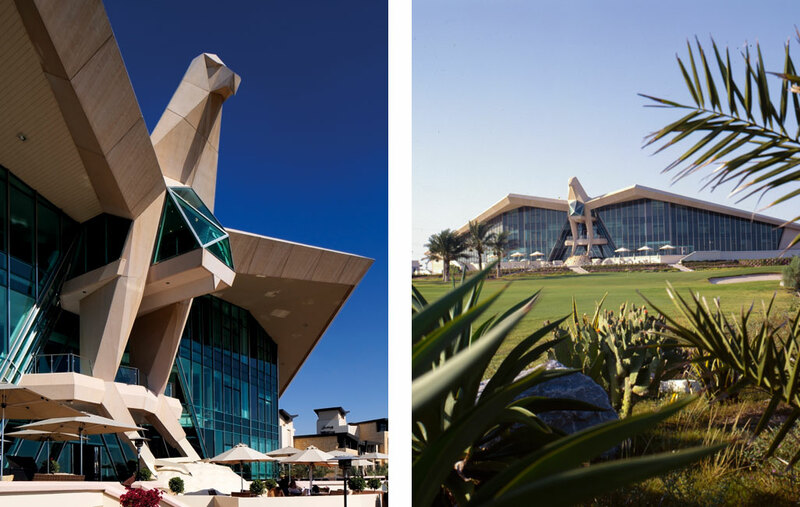 Since 2006, the National Course has played host to the annual Abu Dhabi HSBC Golf Championship, which is one of the biggest events on the European PGA Tour.